Based in EN1 or EN2 areas, and looking for the quickest and most efficient way to get rid of junk and rubbish cluttering your property? If that’s the case they you have every reason and excuse to contact us and take full advantage of the best junk removals in Enfield Town. We have the necessary licensing, qualification and expertise to organise and conduct all types of residential property junk removals without costing customers a small fortune or making a nuisance of ourselves in the course of the job. As alternative to our junk removal solutions we also offer specialised skip hire. The service is versatile and convenient – there are no waiting periods or permits required as we have all necessary licensing and qualification. The company also deals with full scale property clearances. We will have the place stripped of its contents quickly and safely. Our clearance teams will even sweep out the premises after completing the job. Being a professional and responsible junk removal company in Enfield Town, we stick to sustainable means of waste disposal. We implement an extensive recycling and reuse program for salvageable waste we collect on a daily basis. We collect and recycle things like plastic, paper, metal, glass, wood, old furniture, appliances and WEEE waste etc. We have permits for using all London junk depots where deposit all recyclables we collect. 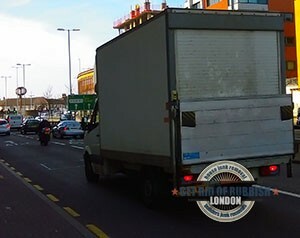 Our professional grade junk removals in Enfield Town will not set you back a small fortune. We stick to flexible pricing schemes applicable to all services. Customers in EN1 and EN2 receive custom tailored pricing which meets specific budget requirements. We maintain round the clock customer support via phone and email, available seven days a week. 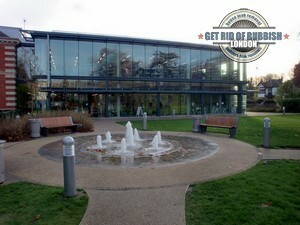 Enfield Town was originally a market town, which in later developed into a district centre of significance. Markets and fairs were staged on the local green as early as the thirteen hundreds. From the sixteenth century onwards, proper homes and inns began appearing around the green where those fairs and markets were taking place. However, the first officially established market in Enfield Town dates back to sixteen thirty two. That particular market place was the centre around which the modern day suburb developed. During the eighteenth century, more well-off people were turning their attention to Enfield Town and a decent number of fine houses were to be seen in the area. That part of the area became known as Gentleman’s Row.